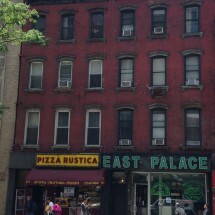 A brown brick prewar building located steps away of Grand Central spanning 12 floors and serviced by a full-time doorman, live-in super, and on-site laundry facilities. 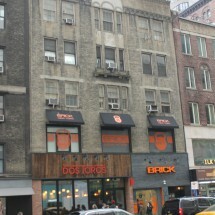 A prewar, brown brick building located in Midtown East, on 46th Street between Lexington and Third Avenues, this mid-rise building contains 188 apartment units on 12 floors. 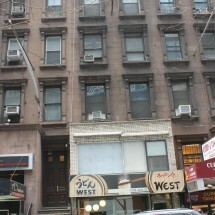 Developed by world-famous designer Emil Roth, this building offers mainly 1-Bedrooms and Studios, although there are some larger layouts. Building features include a live-in superintendent, full-time doorman, elevators, and laundry facilities. Apartments here are often renovated with modern fixtures and high-end finishes. Penthouse units have wrap-around terraces. 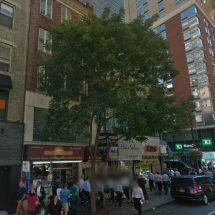 140 East 46th Street is located within steps of Grand Central Station, the greatest transportation center within Manhattan: the subway lines running to and from Grand Central could easily position a rider nearly anywhere in the City. 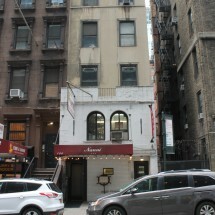 A well-trafficked area, this building was cleverly designed with a front entrance setback from Lexington Avenue. The neighborhood around 140 East 46th Street features fine dining, superb hotels, and shopping opportunities both upscale and essential. 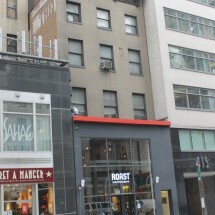 This Midtown East location, with numerous office buildings, along with great shopping and entertainment venues, offers a prime location for work and play.